When you have kids, lots of visiting relatives and a lounge suite that you inherited from the previous owner of your house (you know me, waste not want not), there are times when you just don’t have enough room for everyone to sit. 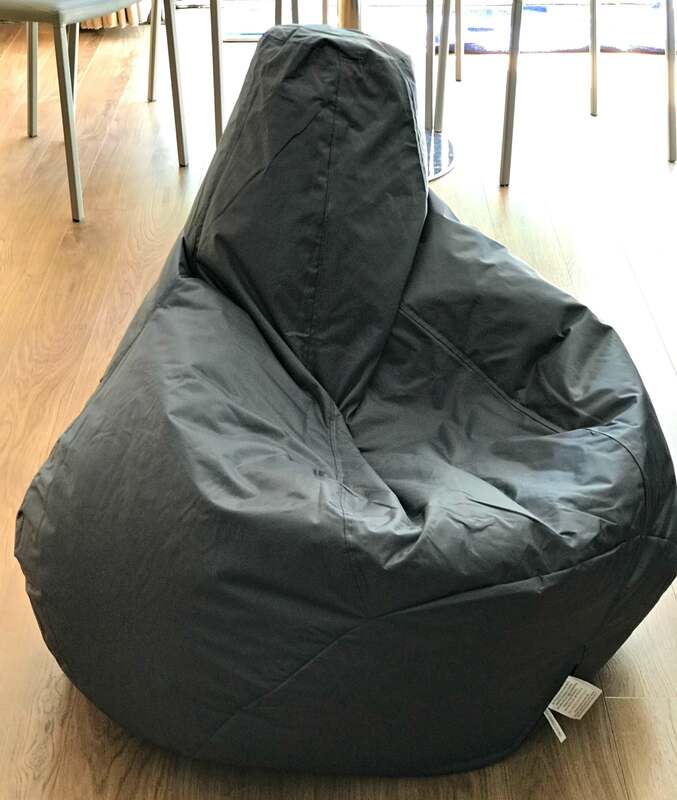 Bean bags are a brilliant way of flexing your seating arrangements and cost a fraction of the amount you would need to spend to add another chair. They are easy to move from room to room and, let’s be honest, they are pretty fun to sit on too, aren’t they? 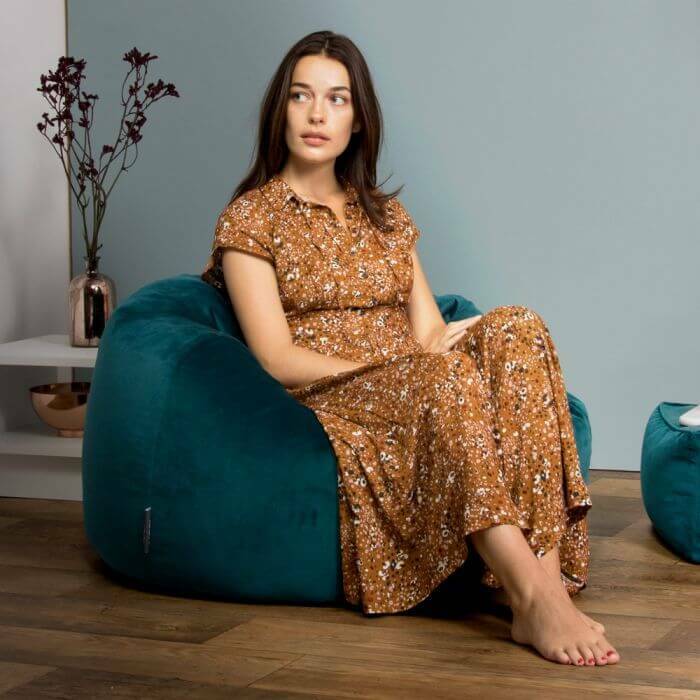 Read on because I have a fabulous £75 voucher code for one lucky winner to spend on the beanbag (or product) of their choice in my latest giveaway. 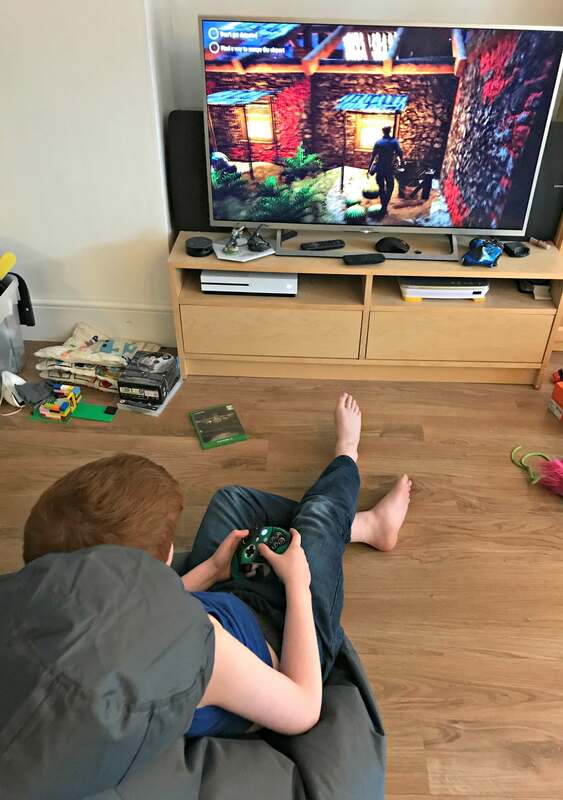 Bean Bag Bazaar recently sent us a gaming beanbag to try which Caitlin and Ieuan are now squabbling over. To be fair they squabble over anything, but that’s tweens for you. This is a decent size bean bag that will take an adult. It has a high supportive back and a deep bucket seat for comfort. You do have to give it a good shake to shape it so that it is comfortable but once you’ve got it just right it is a perfectly acceptable seat. Sitting into the bean bag creates raised armrests either side of you and sends some of the FreeFlow bead inside up into the tall back creating a chair shape. Ieuan is sitting on it to play Fortnite as I type (Tilted Towers apparently). The Gaming Bean Bag Recliner comes in 13 different colours (ours is slate grey) and you can even take it outdoors. It is made in 100% water resistant Aqua-TX fabric so is ideal for extra seating for a summer BBQ, picnic or garden party and at £39.99 is much cheaper than lots of garden chairs. Luckily it is wipe clean with a mild detergent too. I love to support British companies and Bean Bag Bazaar is a small business based in Northumberland who design, make and sell soft furniture and furnishings. Bean bags are their speciality. 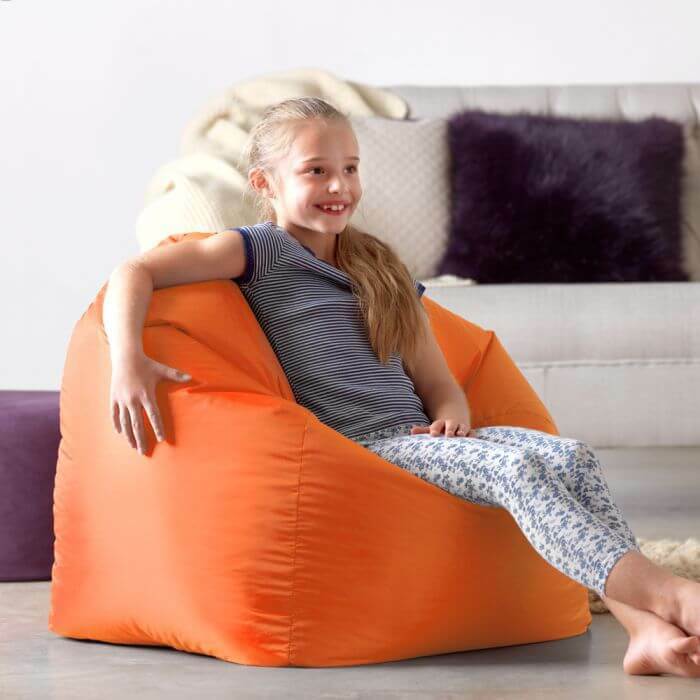 They have a huge range of bean bags and, as well as a wide range of bean bags for grownups they have lots of great trend-focused children’s products too. There’s a cover to match any type of decor and a style to fit in every room. You’ll find velvet and faux fur covered beanbags, as well as real leather ones and even ones for babies. The company also supplies cushions, throws, footstools and gifts and there are plenty of special offers to be found, plus free next day delivery. Bean Bag Bazaar is offering a £75 voucher off the product of your choice. Entry is via the GLEAM widget and is open to UK entrants over the age of 18 only. Please note that any email addresses supplied will only be used to contact the lucky winner. All terms and conditions can be viewed on my giveaways page. Voucher details: The voucher is £75 off any product. This discount code is valid for 3 months. This discount code can only be used in one transaction — any balance will be lost if not spent in one transaction. The voucher is non-refundable and cannot be exchanged for cash. The giveaway ends at 11:59 pm on Sunday 14th April. "When might you need a personal loan?" I’d pup the voucher towards their AMAZING ICON® Hacienda Faux Fur XL Bean Bag, Rose Dust Pink!!!!!!!!!! I love the ICON Kenai Faux Fur Bean Bag, Arctic Wolf. I’d choose the ICON Kenai Faux Fur Bean Bag, Arctic Wolf. I would choose Cord Retro Classic Bean Bag, Heather, it’s gorgeous. 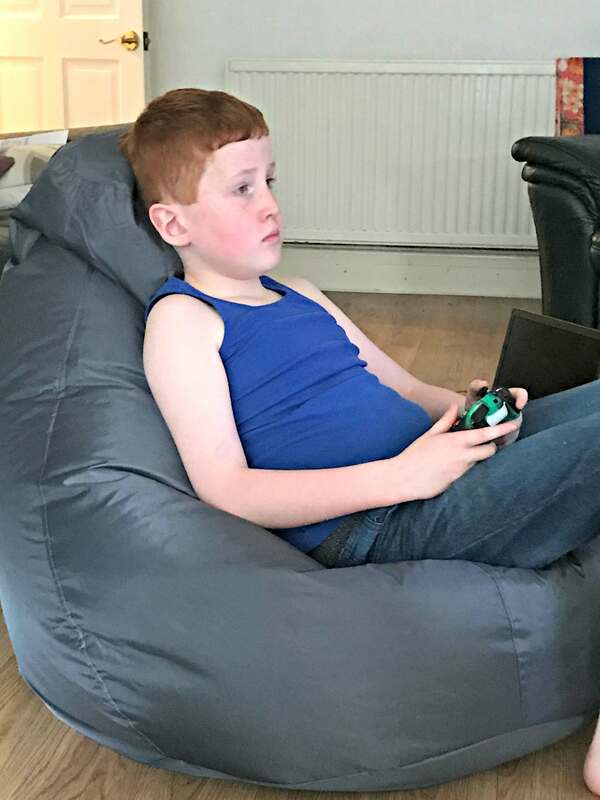 I think the Gaming Bean Bag Recliner Faux Leather looks very comfy and would be ideal for my child! I would buy the Giant indoor/outdoor beanbag . Need one of these for our lounge! These look fantastic and so versatile! Gaming bean bag would be perfect! The ICON® Milano Classic Velvet Bean Bag in teal. I like the looks of the ICON® Soul Slouch Armchair Beanbag in retro cord. Need one of these for the living room!!! Look so comfy! i would like an outdoor beanbag for our community garden in bethnal green. i would spend it on or towards a coupe of bean bags for my kids . I would get a couple of indoor/outdoor toddler bean bags, they would look great in the mukti-coloured garden area that I’m planning for the kids this summer! Building a family room this year and bean bags will be ideal for our two to relax and hang out with friends. Would put towards the ICON® Valencia Large Real Leather Recliner. The Bazaar Bag Flex, yee-hah!! I’d get the Kids Big Bag Indoor & Outdoor Bean Bag for my boys as they look super comfy and there’s plenty of room for two on them so they won’t need to fight over it! I’d put it towards the ICON® Valencia Large Real Leather Recliner. I love the dog beds, they look really comfy my dog would love one. I also really like the ICON™ Oria Eclipse Stool. I love the retro cord style beanbags for my iving room and I would also treat my son to one of the kid’s beanbags for his bedroom 🙂 Thanks for the chance. Top of my list would be the ICON™ Luxury Faux Fur Classic Bean Bag, Ostrich. I love the Icon Soho cosy faux fur bean bag! It looks so chic and exquisite. I would love the Milano Classic Velvet Bean Bag. Brown Bear Faux Fur for me! I would choose the cord retro classic beanbag in heather. My pick would be the ICON Kenai Faux Fur Bean Bag, Arctic Wolf. I would probably choose the blue retro cord which would fit in well with my decor. I’d probably get something like the Toddler Bean Bag – Faux Leather, Cream. I would buy the Kenai Faux Fur Bean Bag in arctic wolf – it looks super cozy but also very stylish! So many to choose from…..maybe the i-eX® Gaming Chair Bean Bag for my niece. I’d go for a neutral coloured cord bag. Would be great as an extra place to crash for when visitors come round and there’s no more sofa spaces. I think I would buy the ICON Serenity Lounger in coral – I love light pinky pastel colours. I moved into my new council house 6 months ago after waiting 10 months in a Woman’s Refuge. I still only have a 2 seater sofa (which I’ll be paying off for the next 3 years lol!”), a tv and a fireplace in my living room!! Haven’t had the time or money to buy anything else so a little bit of colour and an extra bum space would be amazing. I’d buy a Gaming Bean Bag Recliner. My sons would love it! I would put it towards a Milano Velvet armchair in grey. I think I would get the ICON® Milano Velvet Footstool in teal and a some ICON™ Diamond Pop Cushions in Aqua, thanks. I would get the Teardrop Bean Bag Chair, Indoor-Outdoor so I could use it in the garden in summer months. I’d like the ICON™ Shetland Pouffe Footstool; it’s beautiful, and would be really useful. I’d go for the ICON® Milano Velvet Armchair Beanbag in Teal. I would love one of these. 🥰😘🙂 They are very comfortable. But which one would you choose from the website Emma? I’d put it towards the ICON™ Faux Fur Bean Bag, Bavarian Wolf . It’d be brilliant in the guest room. I’d get the Faux Fur Bean Bag, Ostrich. It looks super cute & comfy! I love the ICON® Milano Velvet Armchair Beanbag in Teal. It’s stunning! I’d get the Icon Oria Recliner Bean Chair in teal. I’d put it in my son’s room so I have somewhere comfy to sit when reading his bedtime story. And he could use it too when watching TV or playing a game in the day. i love the ICON™ Kenai Faux Fur Bean Bag, Arctic Wolf so if i wwere to win id put the voucher towards buying it, it looks soooooo comfy! Think i would get the i-eX® Gaming Chair Bean Bag for my man-cave/gaming room. Looks really comfy. The Icon Dream Lounger is gorgeous! I like the ICON™ Brown Bear Faux Fur Footstool. Which one?? There’s lots to choose from! The velvet range is wonderful. The ICON® Milano Velvet Footstool is so versatile. I love the shetland footstools. I would use the voucher to buy a Bazaar Bag® Indoor & Outdoor Giant Bean Bag, probably in Slate Grey to match my lounge colours. I only have one seating option at the moment so it would be a cool alternative. 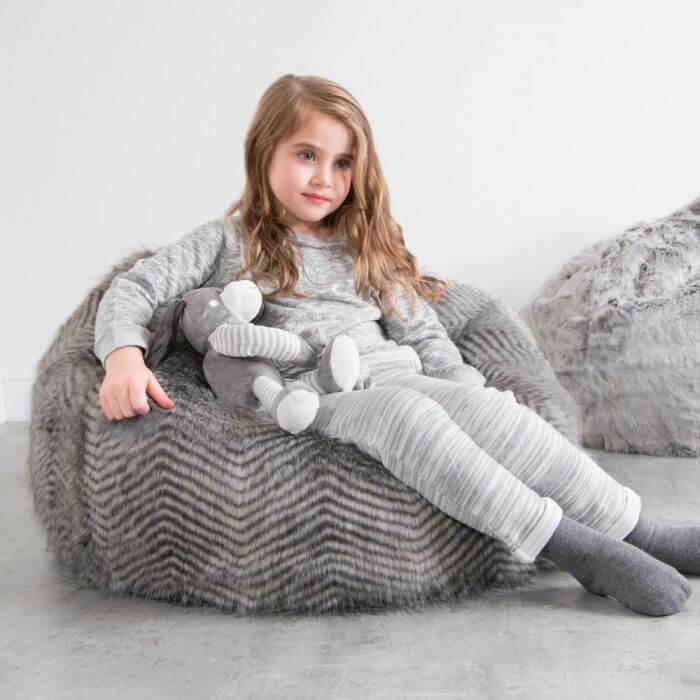 I’d buy my daughter the ICON® Luxury Faux Fur Kids Classic Bean Bag – it’d look great in her room! The Icon Kenai Faux Fur Bean Bag in Arctic Wolf looks sumptuous. ICON™ Faux Fur Bean Bag, Ostrich, I could just live there! I would put it towards an ICON® Milano Velvet Armchair Beanbag, they look fantastic. I would love the Bambeano® Baby Bean Bag & Toddler Bean Bag Cover as expecting our first baby. The oria recliner looks really comfortable so that would suit our guests fine. I’d get one of the milano velvet bags in teal – so beautiful! ICON Kenai Faux Fur Bean Bag, Arctic Wolf. My daughter would love the Milano Velvet Armchair Beanbag for her reading corner in her bedroom! Definitely the Milano Velvet Armchair in teal. SO lush! love the ICON™ Faux Fur Bean Bag, Bavarian Wolf, so beautiful!! Definitely the icon Milano velvet beanbag! I would use it for the leather reclining gaming beanbag! Checked out their site- the beanbags look super good for the price! I like the gaming beanbag. I would love the Cord retro classic bean bag in slate grey. bean bags are so great! I’d go for this one if I won! The ICON™ Kenai Faux Fur Bean Bag, Arctic Wolf looks so cosy and comfy! I would love to get the Milano velvet armchair in grey. It looks super comfy and would go nicely in my lounge. Thank you for the chance. I love the faux fur ones. A big one for when we have cuddle and reading time. Love the Faux Fur bean bags! The teardrop bean bag chair! I’d have to spend the £75 on an ICON™ Luxury Faux Fur Classic Bean Bag – it just looks so chic and snuggly! The Gaming Bean Bag Recliner looks great. Either the maximus or the i-eX gaming chair, they both look great! I would get the Bazaar Bag Indoor & Outdoor Giant Bean Bag – looks amazing! Would love a real leather one for our living room. I’d love the Origami Pouffe, Peridot Green Velvet! I think I’d love the Milano velvet beanbag but there many more I love too so it would be hard to choose. We have one bean bag and the kids constantly fight over it. Would love to buy another one. I like the ICON® Luxury Faux Fur Kids Classic Bean Bag! loving the ICON Kenai Faux Fur Bean Bag, Arctic Wolf. I would buy the ICON™ Champagne Luxury Faux Fur Throw if I won. ICON™ Faux Fur Bean Bag, Brown Bear – i actually LOVE this! Love the Icon beanbag in Ostrich. would complete my living room perfectly! ICON™ Faux Fur Bean Bag, Ostrich, this looks so soft and comfortable! Gaming Bean Bag Recliner Faux Leather would be great! i would definitely go for the Milano velvet beanbag! I’d get a Bazaar Bag® Flex Black, it looks really versatile. I’d go for an indoor outdoor bean bag, perfect for summer! I would choose the Brown Bear faux fur bean bag – it looks lovely! I love the Ostrich Faux Fur beanbag. I would get the ICON Serenity lounger because it looks very comfortable with a high back. I would spend it on the brown bear cloud. I like the gaming bean bag recliner. I wouldn’t be gaming though. I’d sit in my garden with my favourite book. Looks so comfy. I’d put it towards ICON® Ottawa Faux Fur Bean Bag in Mink as it’s gorgeous! And looks very comfortable, too. I wanted the Bazaar Bag® Indoor & Outdoor Giant Bean Bags. I’d love the gaming bean bag recliner. Both my kiddies would love it. I’m truly struggling to choose! Do so get the Milano Velvet chair for me or the Indoor Outdoor bean bag for my son…?! ICON™ Kenai Faux Fur Bean Bag – Arctic Wolf Is lovely. I’d purchase the Gaming Bean Bag Recliner Faux Leather. I’d spend it on an Indoor and Outdoor Giant Beanbag for fun in the garden. 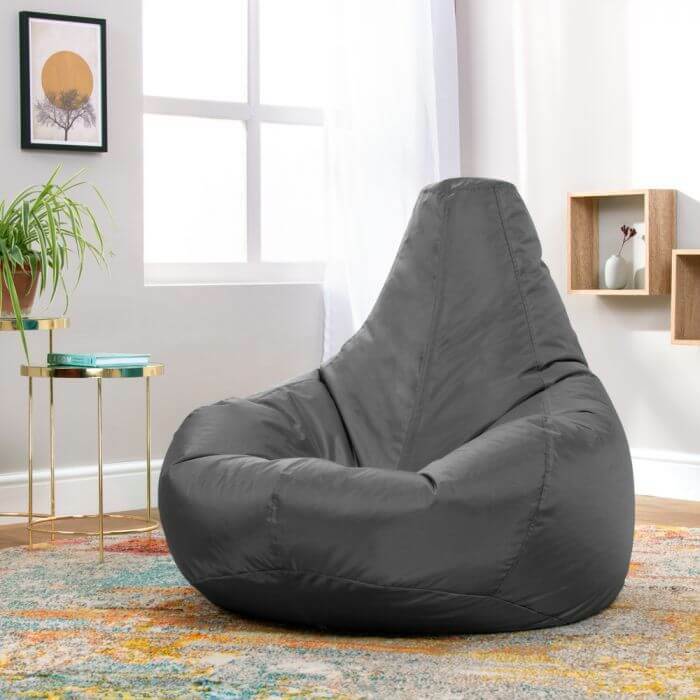 ICON™ Oria Bean Bag Armchair – Looks amazing!! I’d get the Bazaar Bag® Indoor & Outdoor Giant Bean Bag to lie on in the garden. i’d put it towards the champagne velvet armchair!!! The Indoor/Outdoor Giant Bean Bag. A couple of the kids beanbags, but I’d let them decide the colours. The Armchair in Champagne Velvet. ICON™ Faux Fur Bean Bag, Bavarian Wolf and it comes with a FREE throw! The Icon Soho looks so amazing and comfy!!! Definitely the faux fur range. Gorgeous! I would choose the Gaming Bean Bag Recliner Faux Leather. Some lovely new cushions.Maybe the Bavarian Wolf Faux Fur ones. One of these bean bags would be so useful. I love the velvet and faux fur bean bags. A bazarre giant bean bag. I love the ICON Tribal Transform bean bag in teal, it’s gorgeous!